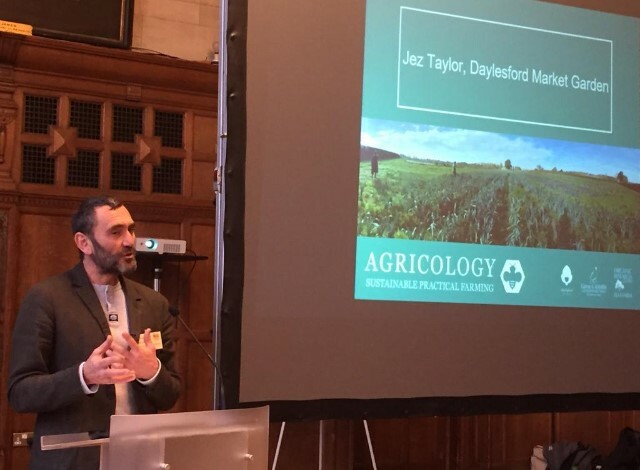 Agricology kick-started 2019 with the Oxford Real Farming Conference (ORFC) on 3rd - 4th January, along with over 1000 organic and conventional farmers, food producers and researchers (plus 600 hopefuls on the waiting list). Established initially to provide an alternative to the Oxford Farming Conference, which attracts large scale farming industry and agri-businesses and takes place in Oxford at the same time, the ORFC’s ‘real farming’ approach has made a definite move into mainstream debate since its inception. Now celebrating its tenth year, the sell-out event is a landmark conference where ideas and practical applications are exchanged on producing environmentally sustainable food. This year focused on the challenging times ahead regarding the future of the UK’s food and farming sector. The Agriculture Bill and farming post Brexit was at the top of the agenda and, testament to the growing importance of the event, the Defra Secretary of State Michael Gove attended as a keynote speaker. During the two days, 240 speakers presented and 100 sessions took place, tackling a breadth of topics from sustainable food systems to soil management, the role of agroecology, water management, rewilding, the role of small-scale abattoirs, agroforestry, plastic waste and supply chains... Sessions also looked at the changing appetite in the food industry and challenges facing producers such as veganism and the future of meat and dairy. In association with the Pasture Fed Livestock Association and the Soil Association, Agricology hosted several sessions in the ‘Farm Practice Room’ with a focus on the practical application of agroecology. Representatives from Agricology’s network came together with organisations including the Organic Research Centre (ORC), ADAS, Rothamsted Research, AHDB and CEH, as well as producers and farmers; including Julian Gold (Hendred Farm), Joe Howard (Little Morton Farm), Jez Taylor (Daylesford Market Garden) and Andrew Howard (Bockhangar Farms). We owe a huge thank you to all those involved as a vast amount of preparation (with Christmas adding an extra challenge!) went into making this such a successful event. Throughout the two days the speakers in the Farm Practice room shared key learnings and case studies from a mixture of their own research and trialling different techniques on core agroecological topics. Discussions on ‘plants in the wrong place’ and agreoecological approaches to weed control with some entertaining insights were shared by Jez Taylor (pictured above) on his personal experience of taking an integrated approach to overcoming weed diversity in the market gardens at Daylesford. Bringing herbal leys back into cropping systems for the benefit of soil health, pollinators and livestock also attracted an engaged crowd. A popular session on the second day with Dr. Lindsay Whistance from the ORC was on providing food and shelter for livestock through silvopasture (combining trees and pasture) and a discussion on intercropping and agricultural sustainability. The final session on making farming systems more resilient to pests by managing them biologically included some live samples. There were also several breakout sessions for practitioners and scientists to delve deeper into the subject matter and field further questions. The popularity of the sessions was evident by the volume of people in attendance and the interest in these subjects from such an engaged audience. All of the presentations, along with a number of additional videos can be found on our YouTube channel. Lydia Moore is Agricology's Project Manager.